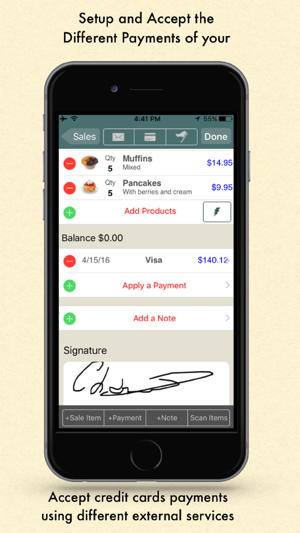 Ring up your sales, expenses & accept payment, right on your iPhone, iPod Touch, or iPad. Bookkeeping no longer has to be a chore. 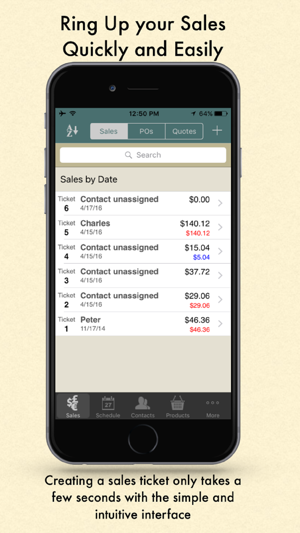 Ring it Up Pro is the portable point-of-sale app for the "Merchant on the go." Ring it Up makes the job of tracking your sales and expenses a snap. The simple yet intuitive user interface allows you to easily create a catalog of goods and services which are then added to a sales ticket or invoice with only a few taps on the screen. Collecting payment is just as simple whether you are accepting cash, checks or integrating Ring it Up with one of the 6 supported Credit Card processing apps (see below). 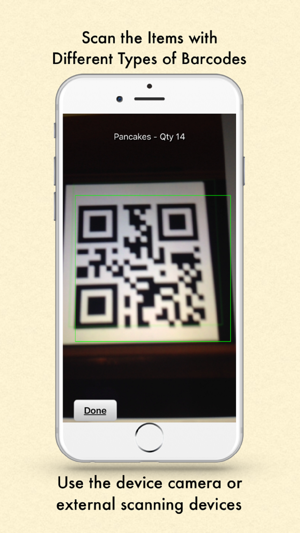 Barcode scanning is here!!! 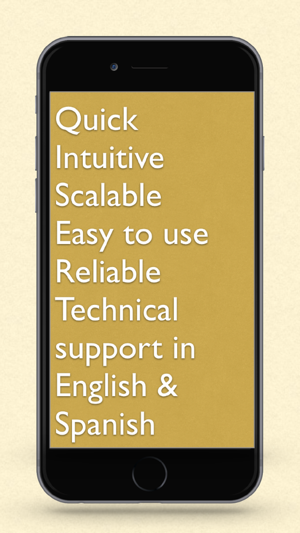 (requires an iPhone 3GS or newer running iOS 4.2 or greater. Barcode scanning is not supported on the 4th Generation iPod Touch). What can Ring It Up do? * Protect your data with our Backup/Restore feature via email, Dropbox, or iTunes file sharing. 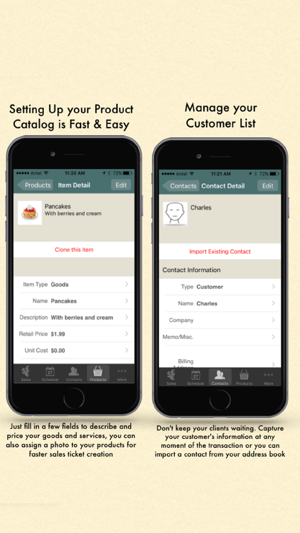 * Capture photos of your Catalog items, Contacts, or Expense Receipts. Ring It Up works with the following Credit Card Processing Apps.